In September 6 Tractions assembled in Hyde Park to the obvious interest and pleasure of strolling tourists. The Tractions drove through the Park, along Park Lane, around Hyde Park Corner and won The Mall and joined the traffic at Westminster.On across Waterloo Bridge, around Parliament and over Westminster Bridge ending up at the Queens Arms Inn.. 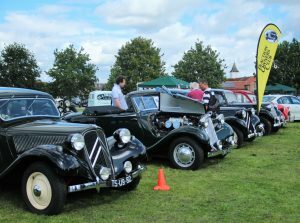 There was no less than 5 gallant historic Citroens including Martin’s fantastic pre war taxi straight out of the paint shop. The weather this year was kind to us and the T O C .members were kept busy fielding enquiries from the public. The taxi won the best left hand drive category!!!! 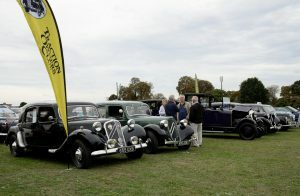 Drive it Day was a joint event with our Surrey, Hampshire and Sussex friends. we started with breakfast at Denbies vineyard before 12 Tractions and two 2CVs took a leisurely drive to lunch at the Hookwood Black Horse. 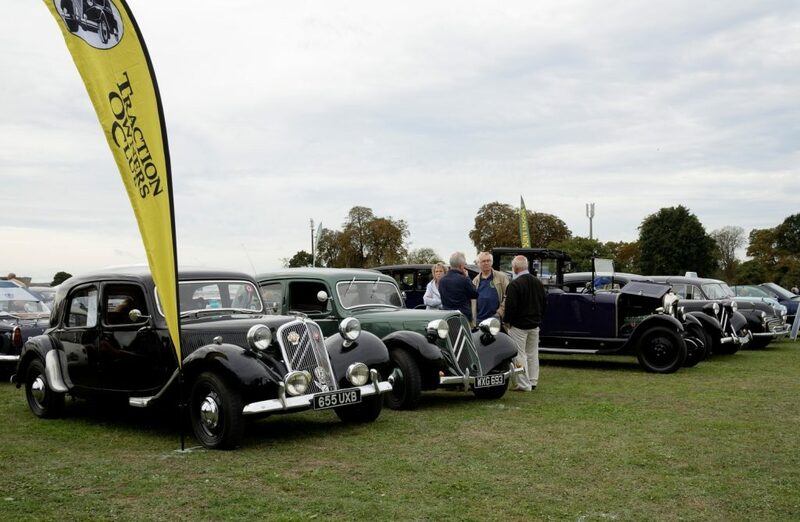 On the 9th September two sections being London and Surrey Hampshire and Sussex Borders, with their respective leaders met up for the annual Cobham Heritage Day festivities joining some 90 Classic cars. 5 Tractions and a little red 2cv represented the group. Phillippe won one of the best in show categories and a few of the group won raffle prizes. Two members sans voitures, joined the group to enjoy the excellent hamburgers and general entertainment laid on for all visitors including the renowned duck race.